Physicists at the Joint Quantum Institute (JQI) and the University of Maryland show, for the first time, that qubits can successfully exist in a topological superconductor material even in the presence of impurities in the material and strong interactions among participating electrons, courtesy of Majorana excitations. Named for the Italian physicist Ettore Majorana, the hypothetical Majorana particle is a quasiparticle. Some scientists believe that qubits made from Majorana pulses excited in topological materials would be much more immune from decoherence than qubits based on conventional particles. Previously Sankar Das Sarma and his colleagues predicted that Majorana particles would appear in topological quantum nanowires, a prediction since borne out experimentally. It is precisely the separation of the two parts of the Majorana excitation at either end of the nanowire that confers some of the anticipated coherence-protection: a qubit made of that Majorana excitation would not be disrupted by merely a local irregularity in the wire. But this earlier work was still somewhat idealistic in that it didn’t fully grapple with the presence of impurities nor with electron-electron interactions. This is what the new paper addresses. The problem of impurities or defects is especially a low-dimension environment. The same is true for the repulsive force among electrons. In 3-dimensional materials, by contrast, electrons can avoid each other thanks to the availability of space. They can just go around each other. In 1-D materials, this is not possible, since electrons cannot pass each other. In 1D, if one electron wants to move, it has to move all the other electrons! This ensures that excitations in a 1D metal are necessarily collective, as opposed to the single-particle excitations existing in a 3D metal. 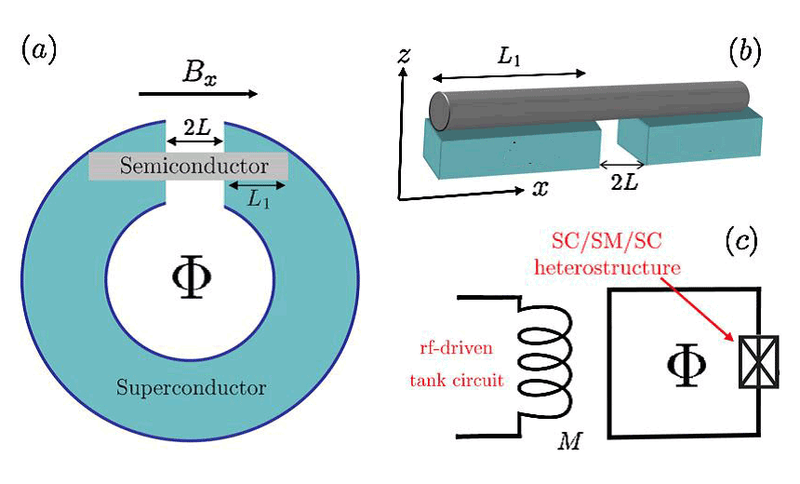 In this new work, the authors conclude that despite the detrimental effect of disorder and interactions, there is still a sizable range of parameters where topological superconductors hosting Majorana excitations can exist. This study will be useful for understanding and characterizing topological superconductors in more realistic situations.